As I began to explore in the iPad mini vs. Nexus 7 and Kindle Fire HD screen size and screen density article, there's a serious discussion to be had about the tradeoffs between the various small form-factor tablets. 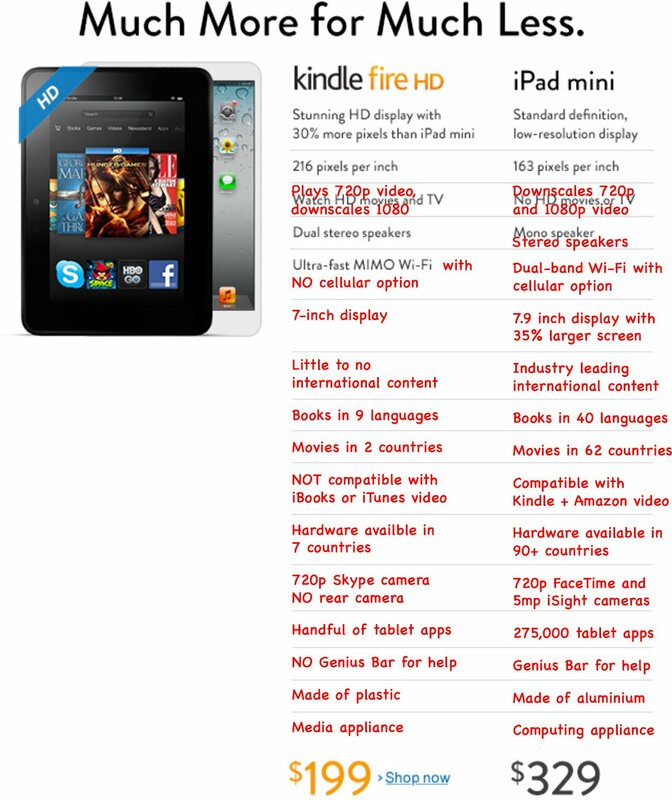 Amazon.com's front page iPad mini vs. Kindle Fire HD ad is not rising to that level of discussion. Since they're a competitor, that's to be expected. It's also to be corrected.